05 Apr How does 3D Printing work? 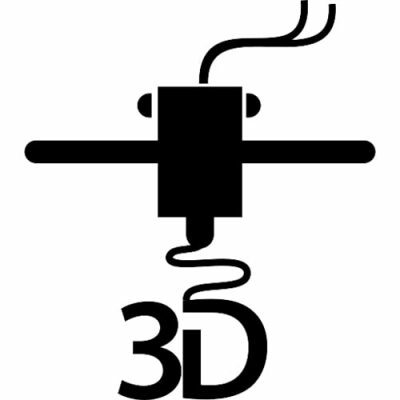 3D printing is the process of producing three dimensional solid objects from digital files. A 3D printed object is made using additive processes. This is done by laying down consecutive layers of material until the object is formed. Each layer is a horizontal cross-section of the object that is being made. 3D printing or additive manufacturing allows you to make complex shapes or different objects using less material. It’s the opposite of subtractive manufacturing, a process that involves hollowing or cutting out a piece of plastic or metal with a machine. A 3D model is made in the computer. This model is either made based on data produced with a 3D scanner or from scratch using 3D modeling software. A 3D scanner allows you to create a digital copy of an object. You can make your 3D scanner at home or buy an industrial grade one. If you need 3D modeling software, you can either buy one or use free open source software. There are software applications that cater to transportation, fabrics and furniture design. The next step is making the 3D model printable by slicing it. You have to divide your 3D model into thousands or hundreds of horizontal layers using slicing software. When the 3D model is sliced, you can feed it to the 3D printer through Wi-Fi, USD, or SD. The method depends on the 3D printer brand you have. After uploading the file in your 3D printer, you can now print the object layer by layer. If you are interested in 3D printing, you have to determine what you want to learn first. Is the result more critical for you? Do you want to focus on the hardware? Your answer will help you decide whether you should purchase a DIY 3D printer kit or a pre-assembled 3D printer. You need to consider some factors when choosing a printer such as your purpose. Will you use it for small batch production or in the classroom? There are under $250 3D printers, so you don’t need to break the bank when you are just starting. 3D printing can be used in a wide range of applications such as architectural scale models, movie props, rapid prototyping, and 3D printed prosthetics. It can also be used to reconstruct body parts and bones in forensic pathology. 3D printers can be used in the classroom to allow students to materialize ideas quickly and inexpensively. Printed prototypes are common in the animation, fashion and art studies. Research labs in different vocations also use 3d printing. Engineers are incorporating 3D printing into the design of airplanes and automobiles. Medical labs are creating all kinds of bio-printers for prosthetics. 3D printers are used by manufacturers for rapid prototyping or creating prototypes. It is a cheap and fast way of making prototypes, and the 3D file can be altered immediately. The prototype can be reprinted on the same day. Rapid manufacturing also benefits from3D printing. Companies use 3D printers for small batch or short run custom manufacturing of end-use products, molds or tools. Car manufacturers, repairers, and restorers are also using 3D printing to produce parts, fixtures, tools, and jigs. 3D printing has its use in aerospace as well. Many organizations like NASA are using 3D printers to perfect the shielding on shuttles. 3D printing also allows architects to present a physical scale model easily and quickly. It helps them reduce the time and human resources required for visualizing designs for their clients. Some countries are also exploring the use of 3D printing in construction. WinSun, a Shanghai-based company, uses recyclable materials to print houses worth 4,800 dollars per unit. The parts are printed individually first and assembled later on. Many companies are also using 3D printers to produce end-user products. There are 3D printers that can print the wax molds used to produce jewelry. Some additive manufacturing supporters predict that 3D printing will alter the nature of commerce as end users will be capable of doing their manufacturing instead of purchasing trade to buy products from other companies and people. There are 3D printers that can print in color and different materials. 3D printing can help reduce waste and improve customization and product availability.